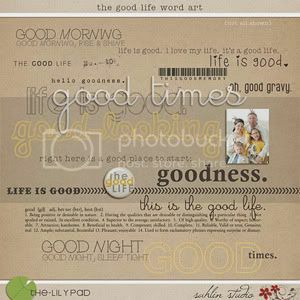 Today's journal prompt is going to focus on a simple word ... "GOOD"
You might be thinking using just the word, “good”, might seem a little strange. But as I thought on that word for a while, my mind was flooded with ideas of how this word can inspire your journaling process! Think of how many different ways you can USE the word good to describe things. 2) Use this as a jump-start for your journaling process. See where this little word can take you? The longer I dwelled on this word good - the more inspired I became! I even came up with a beautiful word art pack that will help you with this journal it inspiration - be on the lookout because it will be available in my store tomorrow. Or click to go to the shop. I instantly gravitated toward these photos when I thought of the word, "good". I used the cute term, "what'cha got cookin' good-lookin". This still makes me smile! It really helped me to focus on the story in a different way then if I just opened up the page and started scrapping. 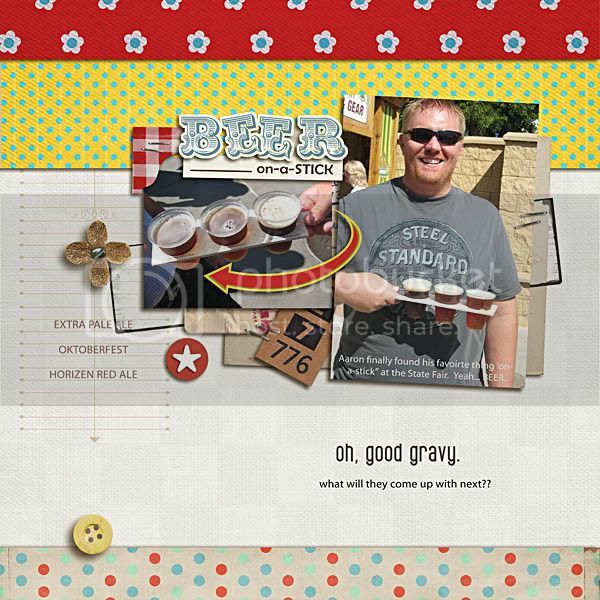 On this next layout I used the prompt, "oh good gravy". And truth be told it totally help to tell a story on this layout. HAHA!! I didn't include much journaling on this page, but just the sentiment alone lead you to understand 'the story. I hope that you were inspired! 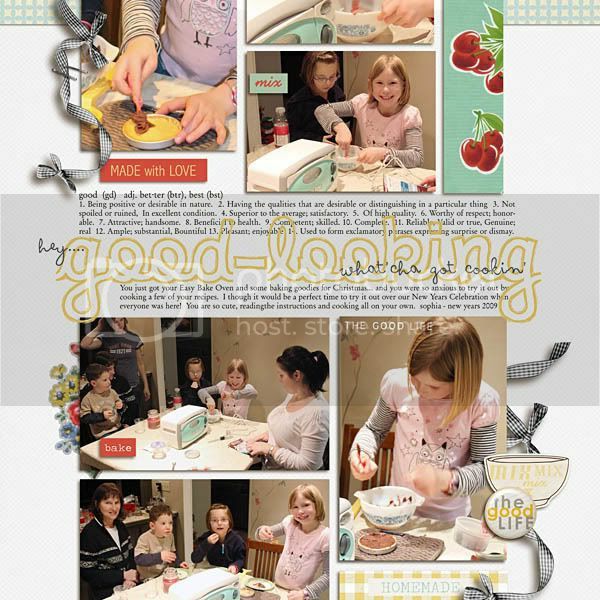 As always I love to see what you create, so leave a comment to this post with a link to your layout!